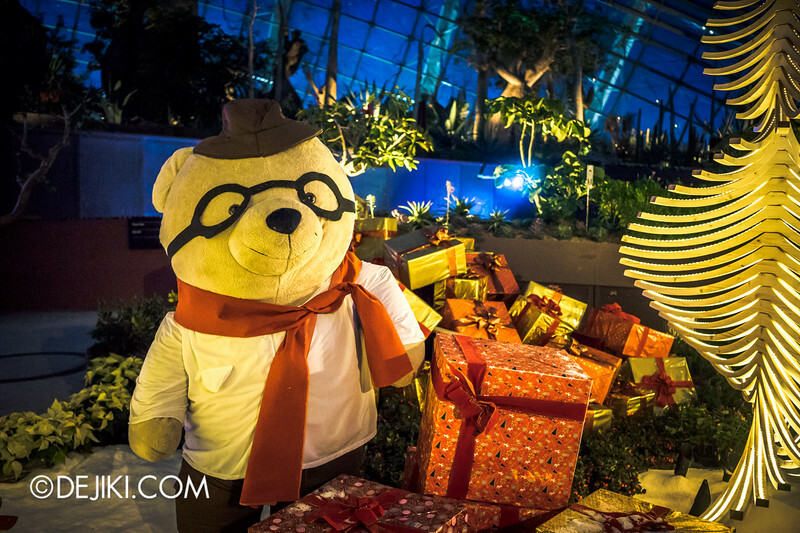 Christmas cheer comes to Gardens by the Bay with the latest Yuletide in the Flower Dome floral display. 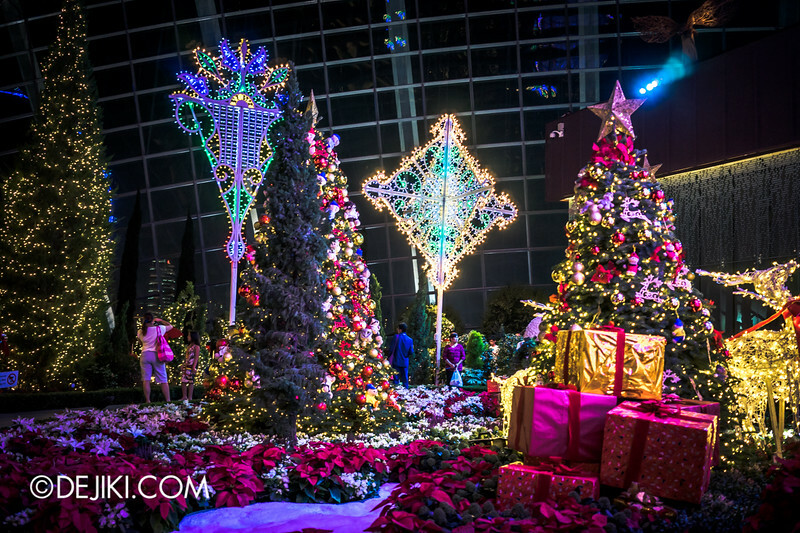 Enjoy gorgeous photos of the dazzling new festive decorations in this photo tour. 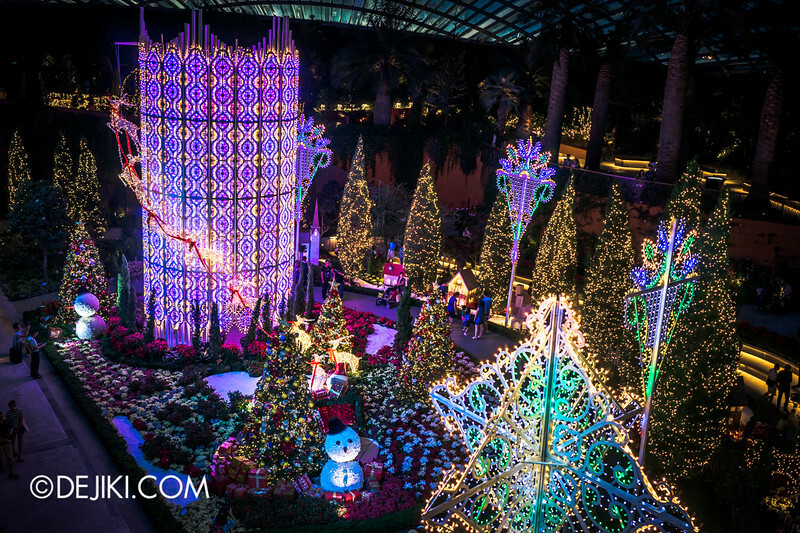 The tower, which has been around since Orchid Extravaganza, is now entirely paved with lights. 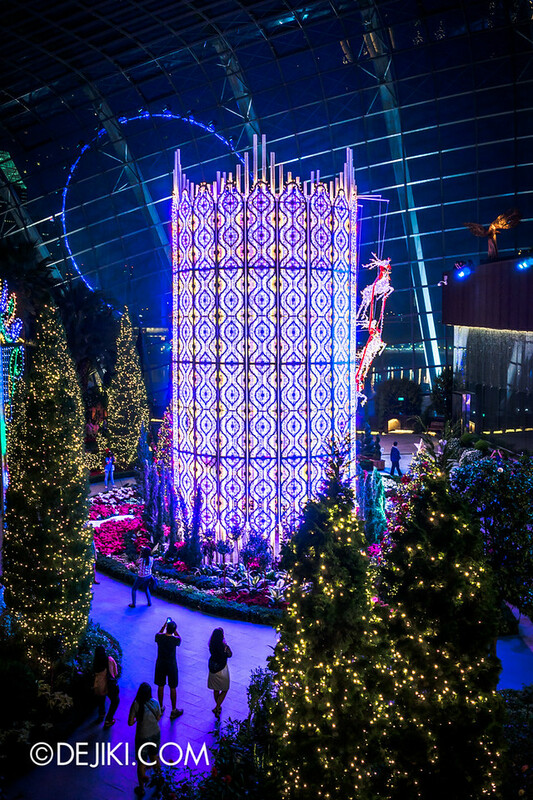 Read on to see the tower lit up at night! 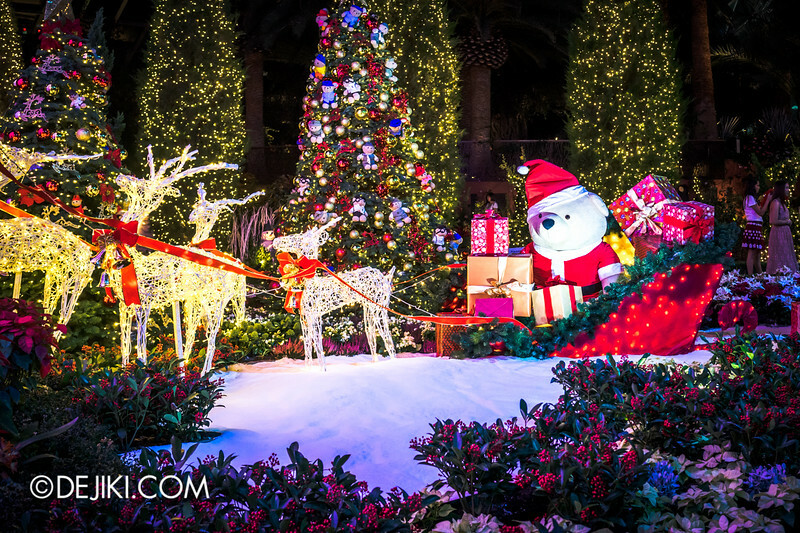 A few of these huge diamond-shaped snowflake lights can be found around the field. 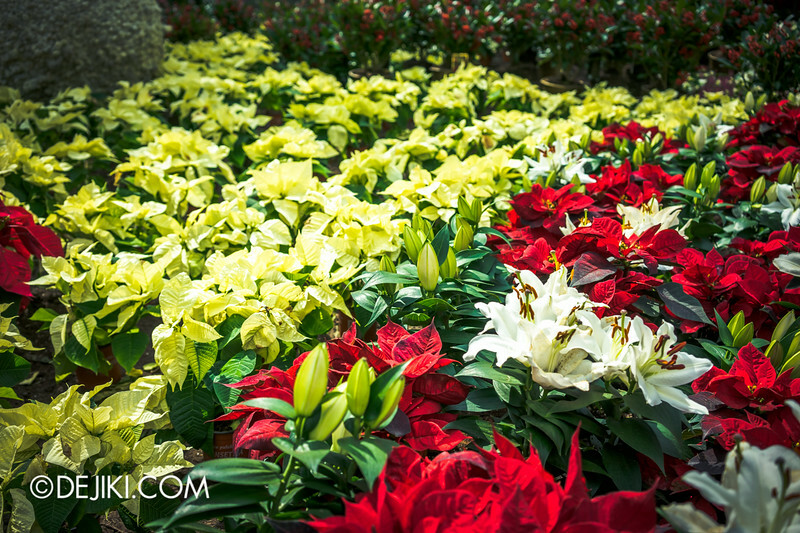 This time, the field is decorated with more traditional elements – patches of green and reds (poinsettia). 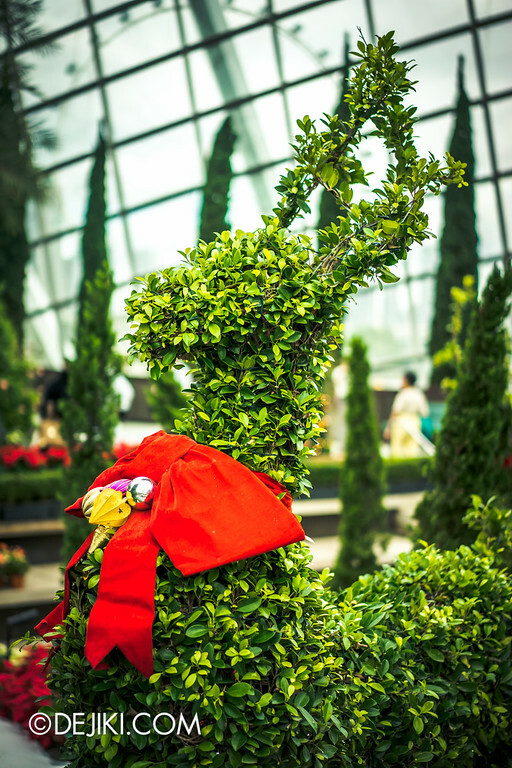 The topiary reindeers are also interesting, but lacks that wow factor in the day. 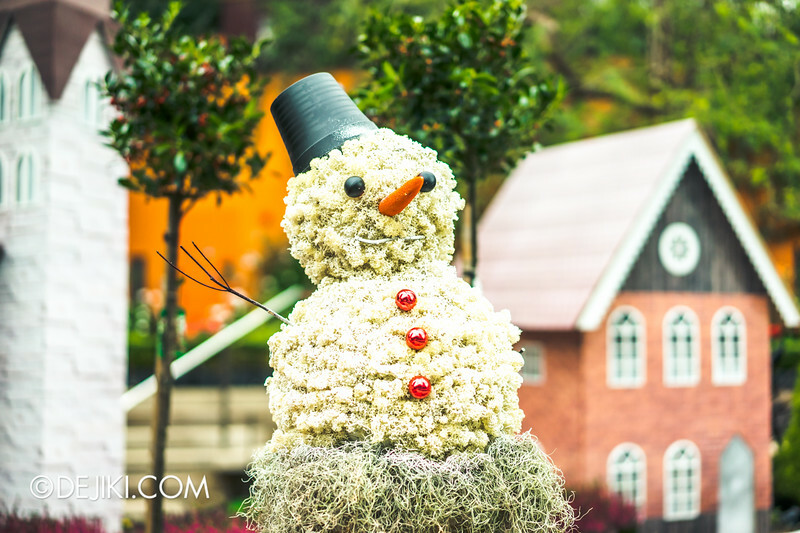 A lot of snowmen lying around, though! Like seriously, there’s several of them. 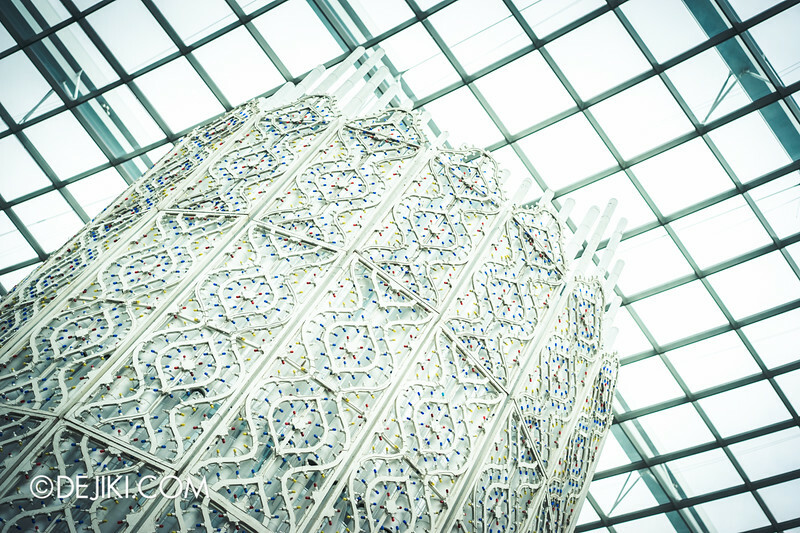 As I’ve mentioned, the white tower is entirely wrapped with this ornate lattice of lights. 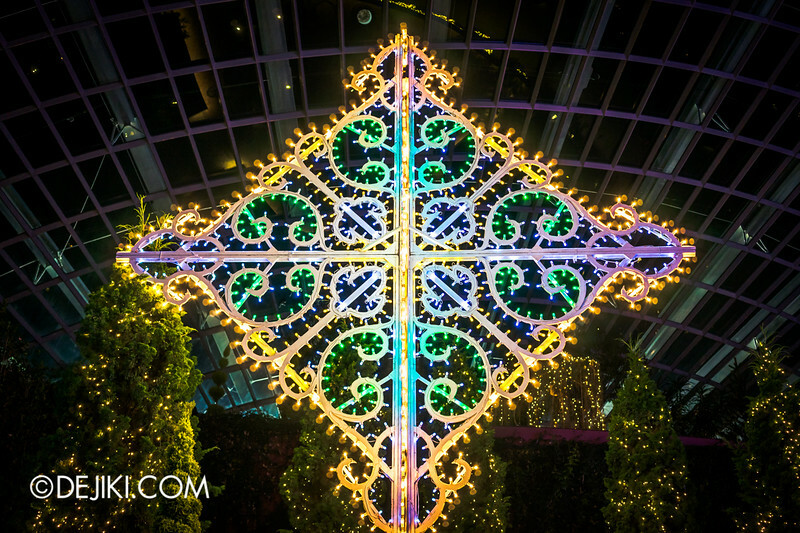 Let’s fast-forward to night time..
With colourful lights and christmas song playing in the background, the Flower Dome certainly feels more magical at night. 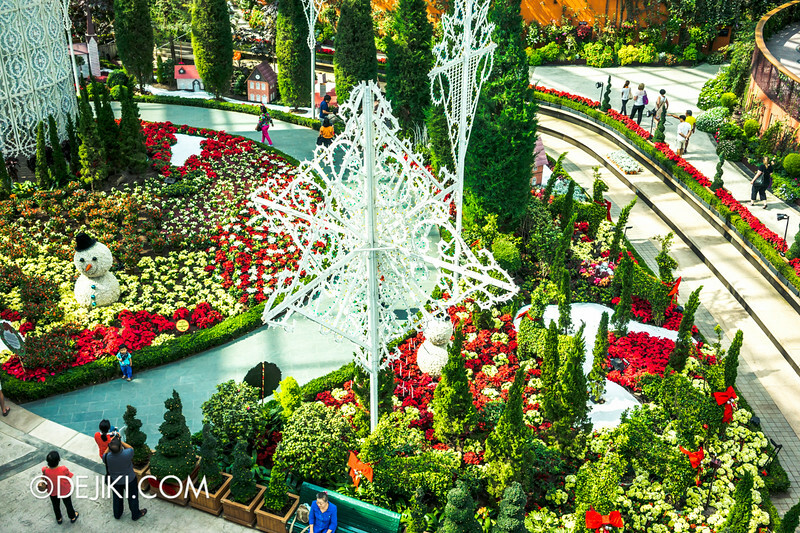 A christmas tree, with Gardens by the Bay’s bears as ornaments! It’s quite a sight at night. 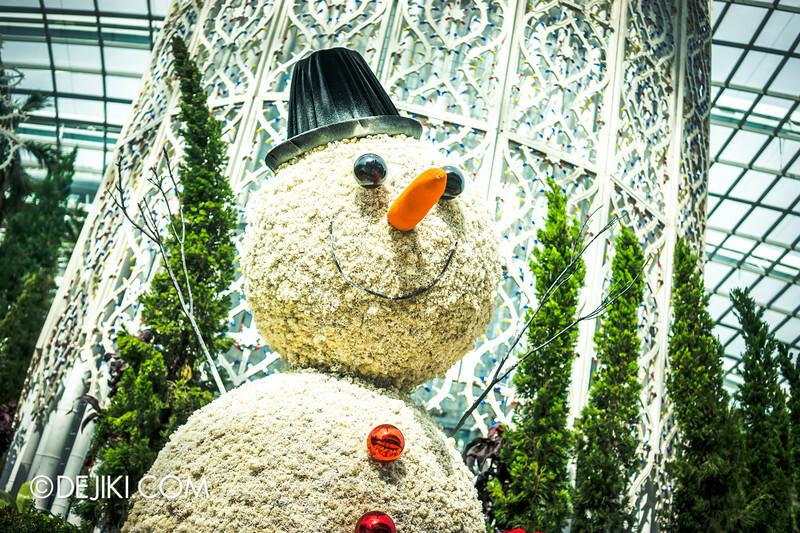 Thankfully, the path around the second flower field is open again, so you can take photos there. The tower is just amazing. 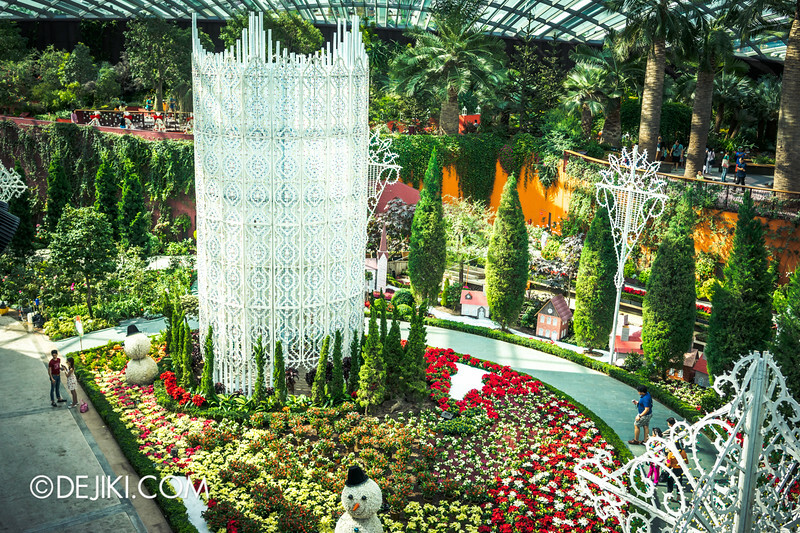 Like a giant lantern, it gives light to the entire flower field. It’s a spectacle, so if you want to take any sort of photos here, be prepared to wait a while for your turn. 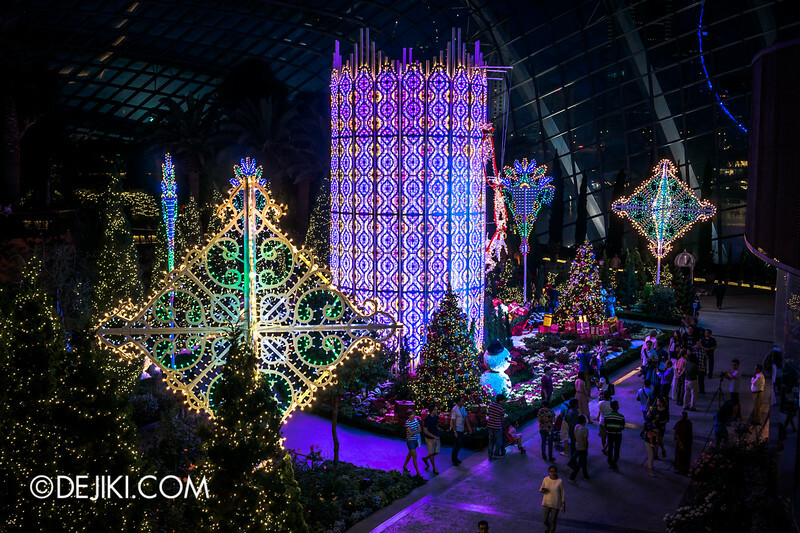 Gardens by the Bay recently launched a new mobile app, which acts as both an electronic guide to the Gardens with a handful of engaging activities. I gave the app a spin during a preview sometime ago. 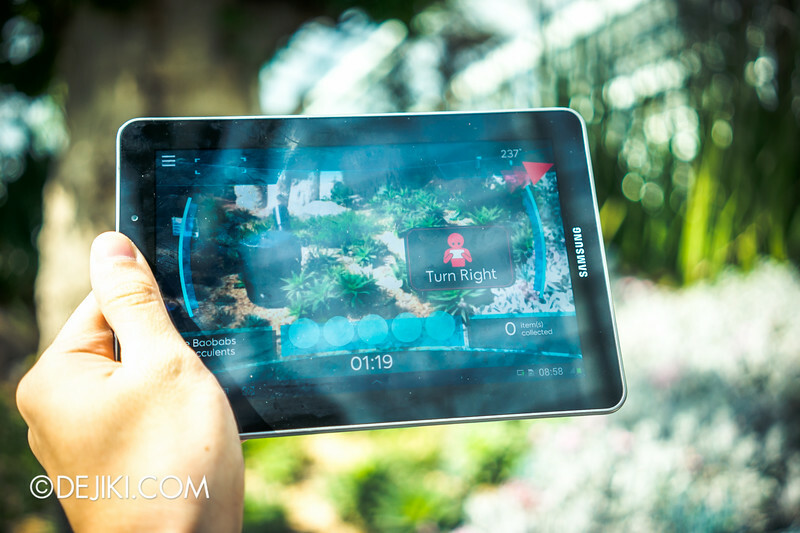 There are several minigames that make use of features such as Augmented Reality (AR) and QR-code scanning. These are not new things, but the implementation at the Gardens is well executed. 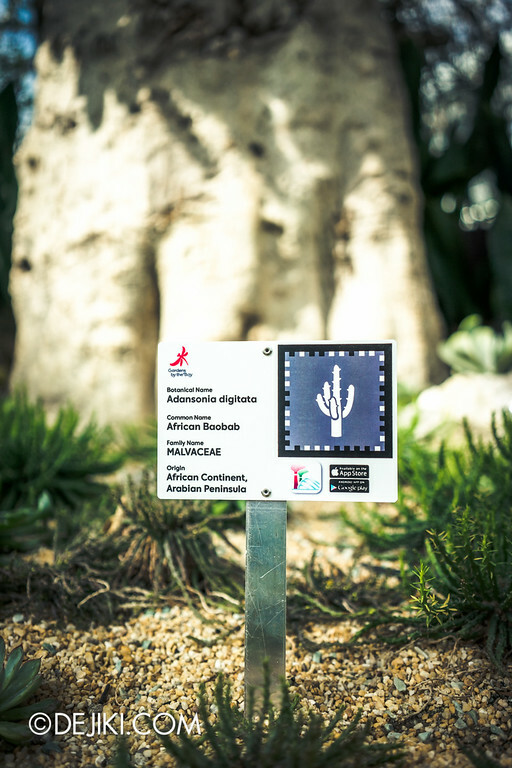 Here’s an AR game that involves searching for specific plants using visual and location clues. 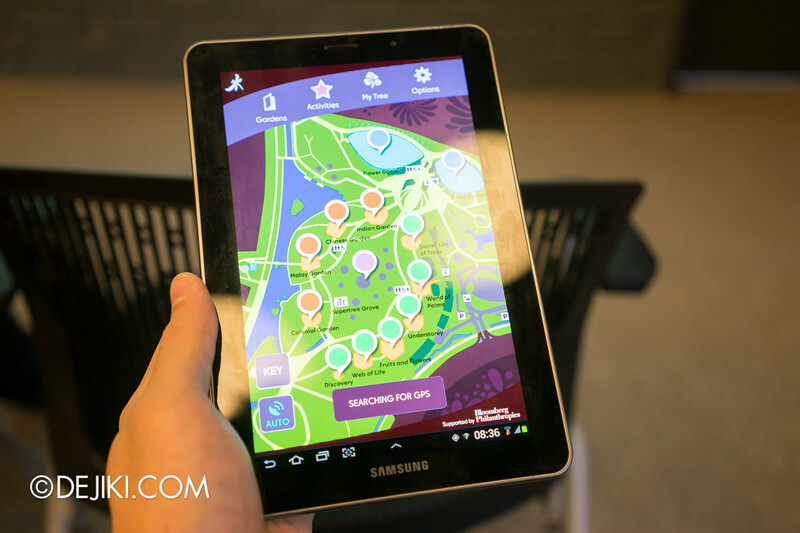 The games are easy to play for all ages (especially young kids who can use smartphones and tablets), and it will track your progress. 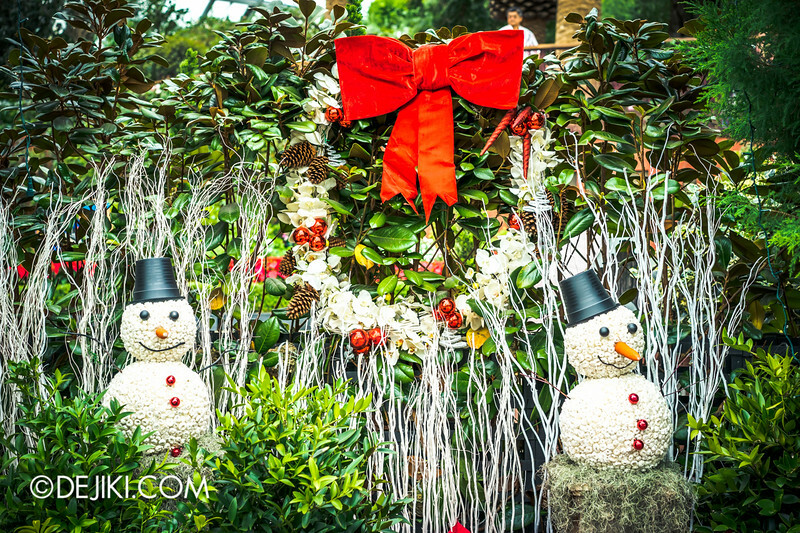 With activities all over the Bay South Gardens, it is a fun way to enrich a visit to the Gardens. The App is available for free on iOS and Android. You can read more about it and download it here. 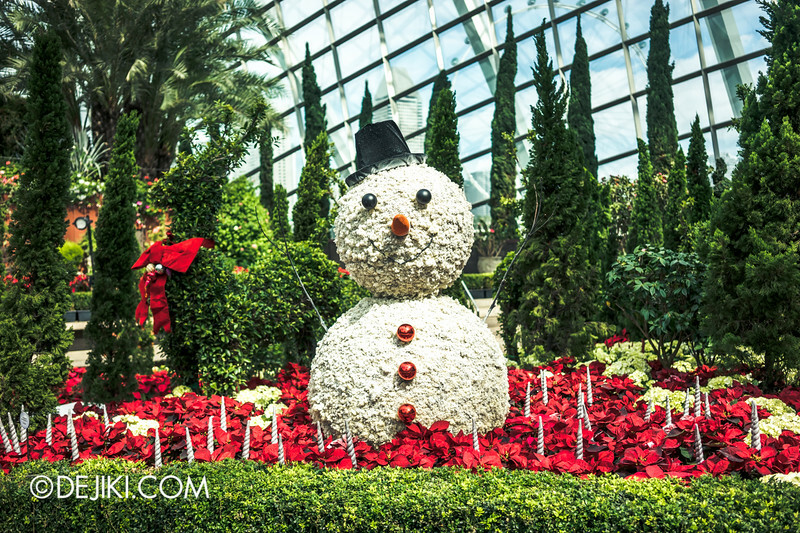 Yuletide in the Flower Dome is now on display till 6 January 2015. 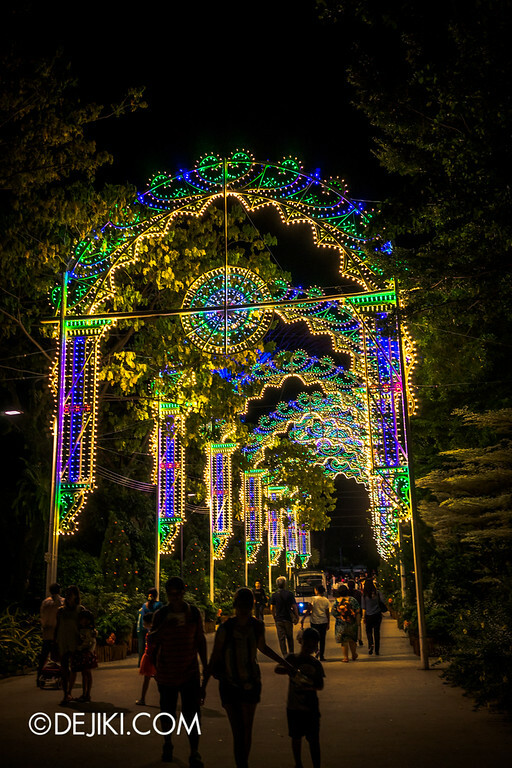 From 29 November 2014, there will be a special event at the Gardens known as Winter Wonderland, which comprises Luminarie light sculptures around the outdoor area of the gardens. 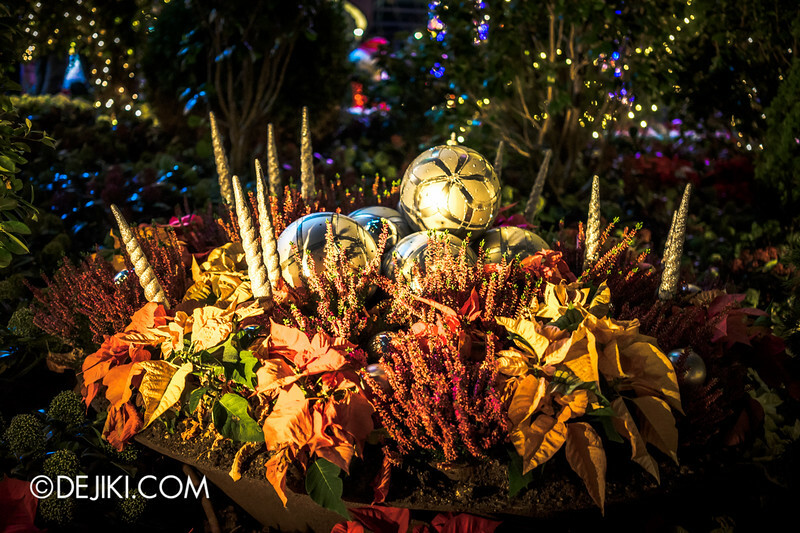 Apart from the special installations, there will also be a festive markets at the Gardens. Best of all, Admission is free! Coming to Singapore for the first time. 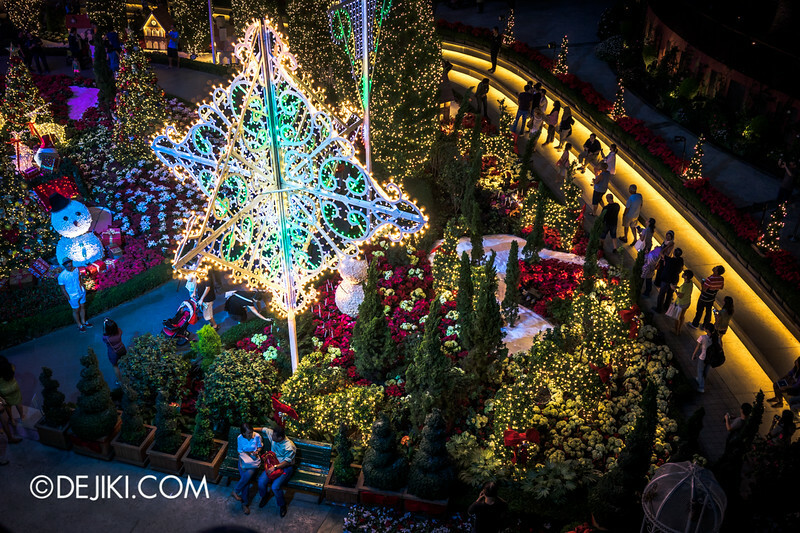 When do you think is the best time to visit the Gardens Afternoon or Evening? Do you also have photos of the cloud dome? 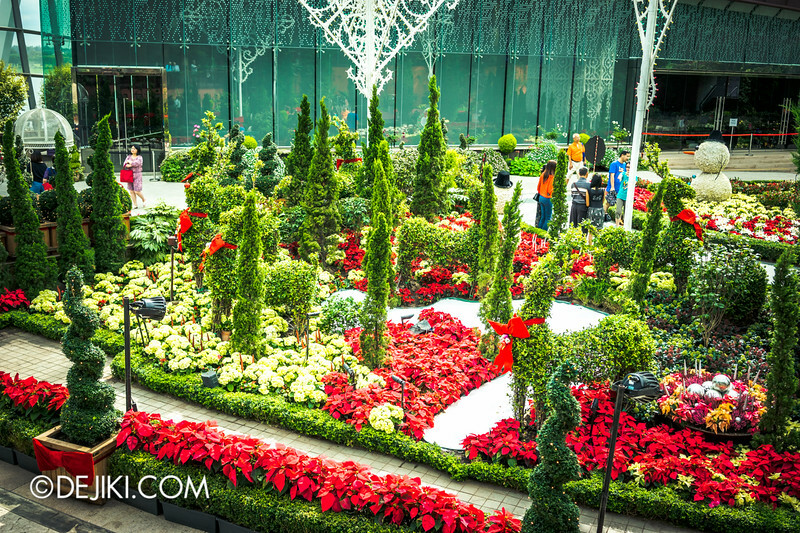 Hi Clarise, I would say the best time to visit the Gardens is around 5pm onwards. It’s not too hot by then, and you catch the Flower and Cloud domes as the sun is setting. They look even better at night. 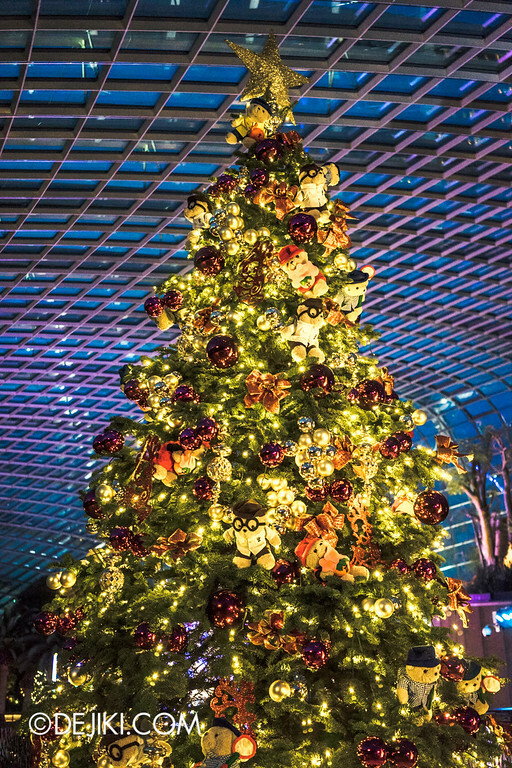 Then hop over to the Supertree Grove for some Christmas festivities.